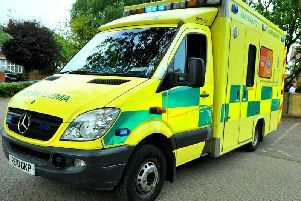 A five car collision on the A29 has closed the major road near Horsham for more than two hours. Emergency services responded to the collision at the junction of the A29 Bognor Road and Northlands Road, near Horsham, this afternoon (April 14). Pictures from the scene show one car resting on its side, on top of several other cars. Firefighters from Crawley Fire Station were on the the scene and a tweet from the official Twitter account described the collision as ‘difficult’ and warned drivers to always wear their seatbelts. Traffic reports show the road remains closed as emergency services remove the vehicles.